Don’t act shocked. We could all see this coming, but we just didn’t want to believe it. I’m on team Diddy with this one. I’ve been one of those bloggers writing about Aubrey, but it’s based on my opinion of what I’ve observed over the seasons and what I’ve read about online. D. Woods is just collateral damage. Guilt by association, if you will. Now, for a moment, I thought this would end up as one of Diddy’s cocky publicity stunts, but I think DK as we knew it is over. The only person that I see making it out through this storm is Dawn. She was real during the Diddy get real pow wow and kept that fighter spirit going even as they reunited in the MTV studio for the “live” finale. This is what she came to do as Dawn puts it. She’s here to sing, so I’m sure there will be a future for her. Ok, Robert. I managed to stay off your back all season since you didn’t show off like the last season, but what the hell is up with that mohawk teepee looking outgrowth that you have coming from the top of your head? Please make a note to self…it is not working for you. D. Woods really took the cake by having a “prior engagement” that conflicted with her live appearance. That’s like case and point from Diddy’s perspective. You can definitely see the pain in all of their eyes…except Aubrey who my hubby and I both thought that she looked high or something. Did you catch her walking off the set at the end? 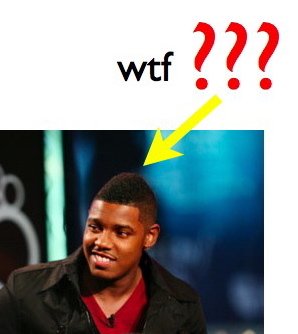 Did you see her all over that annoyance…I mean Sway (something bothers me about him like it bothered me about that guy that used to be on 106 & Park)? That was a dead giveaway right there. If it wasn’t a drug induced high then it had to be alcohol…or maybe both. Aubrey has totally lost it, and as I said in earlier posts, she didn’t attain the level of superstardom that Britney and Paris and Lindsay did before they fell off the deep end. Quite frankly, in a matter of weeks, I don’t think enough people will care. I do wish the best for her, but she needs to check herself at the moment. At my job, that would be grounds for a “corrective action”…lol. So what are your reactions after seeing the finale?